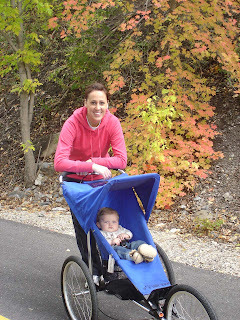 Our Little Family: I Love the Fall! Fall is by far my favorite season! I just can't get enough of it! 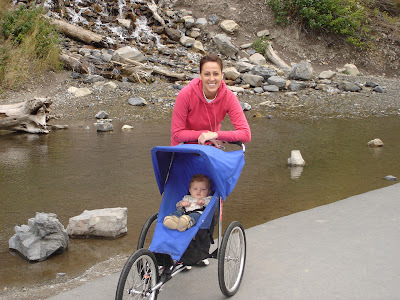 Jogging the Provo River Parkway trail is so beautiful this time of year! There is no better motivation to get out and exercise than to know that amazingly colorful leaves & scenery and the smell of the crisp fall air await you! I could honestly spend all day out there if I had the time to. Lace up your running shoes and get out there before the leaves disappear! 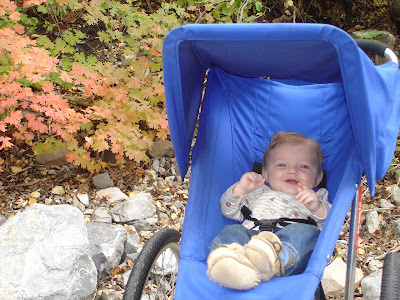 Bryson LOVES his new jogging stroller! I kind of like it too! :) Thanks Camden!